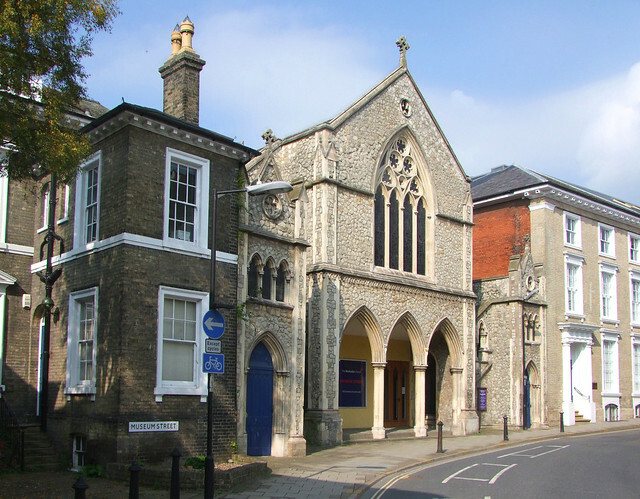 In 1812, a group of like-minded Wesleyans formed a congregation which met in Long Lane, and in 1816 they built themselves Ebenezer Wesleyan Chapel in Market Lane, both these now-lost Ipswich thoroughfares being in St Lawrence parish in the town centre. 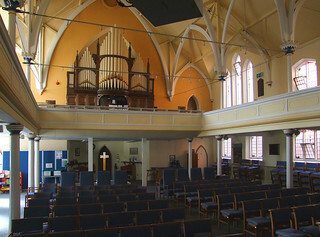 At the time of the 1851 Census of Religious Worship, the Market Lane chapel was recorded as having 735 seats - that is to say, it was a large building. The minister, Ebenezer Moulton, recorded about 300 worshippers present on the morning of the census, and about the same number in the afternoon. 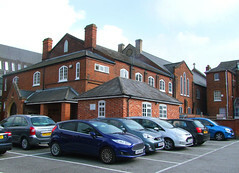 In 1860, the community raised the money for a similar-sized church but with the addition of parish rooms and a school, to be built not far off in Museum Street. 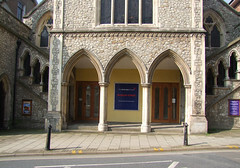 The architect was Frederick Barnes, who designed a number churches in the Ipswich area, although he is perhaps best known for the Great Eastern Railway stations along the Ipswich to Cambridge line. 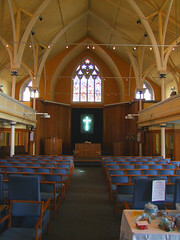 The community became part of the newly combined Methodist Church in 1932. Pevsner thought it good in itself, but incongruous in the context of Museum Street. Welll, the church does strike a rather jarring note among the Georgian frontages, although I think that the loggia entrance provides a convincing moment of Victorian civic optimism opposite the formal, guarded frontage of the former museum, now Arlington's restaurant. However, the interior was turned around in the 1950s, so that the entrance from Museum Street is now along a side passage, which isn't entirely satisfactory, and the new main entrance on Black Horse Lane is viewed across a car park. From the new entrance you walk along a corridor which leads into the various parish rooms, and then eventually through a small doorway into the church beyond. With the gallery above, it is hard to imagine that the church was once the other way around. The 1960s patronage of Bernard Sadler of the Sadler & Sons building firm provided one of the very best post-war windows in the whole of Ipswich, by AE Buss. The four lights depict Christ in the Carpenter's Shop, Christ Healing the Sick, Of such is the Kingdom of God, and the Ascension of Christ. 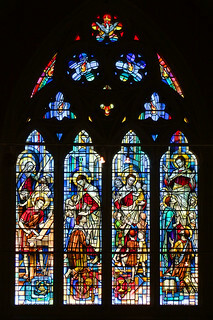 The children in the Kingdom of God window are the grandchildren of the donor.